Bamboo is a highly sustainable building material, although it can't be refinished due to the fact that its technically a type of grass. Bamboo as a flooring material has only recently been introduced to Western cultures, but it has made giant leaps forward in popularity recently. This is especially the case because its growth is very sustainable and environmentally friendly. Bamboo reaches full height after around one year, but matures in around 5-7 years. Bamboo harvested earlier than this has not had enough time to harden and will result in a substandard product. How are bamboo decks made? Bamboo clumps, or culms, are harvested, cut into strips, planed flat, boiled and dried and then glued and pressed together into planks suitable for use in construction. According to the way in which the bamboo has been cultivated, harvested and treated, it can vary in toughness ranging from slightly softer than a standard hardwood to over three times the strength. Most bamboo is, however, vulnerable to scratches and dents and cannot be refinished. 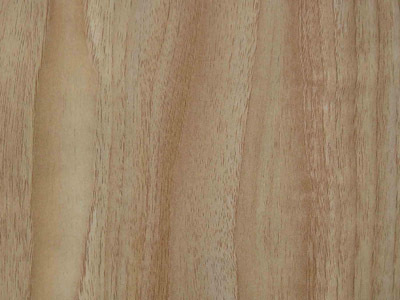 Bamboo is technically a grass, not a wood, so it will tear away into strips when sanded. Highly sustainable growth means a more environmentally friendly product. Light yellow brown grain, highlights well when glossed. Depending on the manufacturer, can be tougher than hardwood. Bamboo makes a great choice for outdoor decking as it is naturally resistant to pests and termites, and if correctly treated, it can withstand extreme weather conditions and long exposure to UV rays. It is great around pools and spas; areas where shoes are not usually worn and vulnerability to scratching is limited. Bamboo can also be used to create infills or balustrades for decking and pergolas. Incredibly sustainable growth, around 5-7 times the yield of a comparable hardwood. Good boards are tougher than most hardwoods. Naturally repellent to insects and termites. Construction of planks means that bamboo cannot be refinished. Vulnerable to scratches and dents. Early harvested bamboo will not be as strong, though will retail for a similar price.